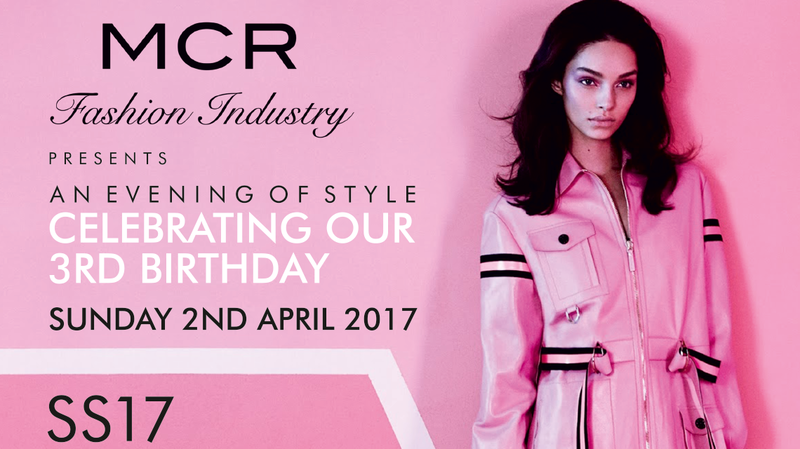 MCR Fashion Industry returns on Sunday 2nd April 2017 with a spectacular evening of Spring/Summer 17 fashion and 3rd birthday celebrations! Manchester Fashion Industry are true innovators of fashion based events and networking opportunities, created with the aim of bringing together the city’s and UK’s thriving retail, fashion and beauty community. Delivering unique themed evenings inspired by seasonal trends and styles, their exclusive, invitation only events provide the perfect setting to network, socialise and let your hair down. We are delighted to be associated with this highly anticipated event for the Spring/Summer 17 fashion season. It’s going to be MCR Fashion Industry’s biggest event to date, with the city’s ‘Fashionistas’ and names from across the fashion industry joining in the fun for another memorable night. The evening of style will be centered around SS17 biggest fashion trend – it’s time to RETHINK:PINK! Join us on Sunday 2nd April 2017, for a night of high fashion at the Exclusive Spring/Summer Fashion Show at Menagerie Restaurant from 7.00pm and then on to the After-show party at The Milton Club from 11:00pm.